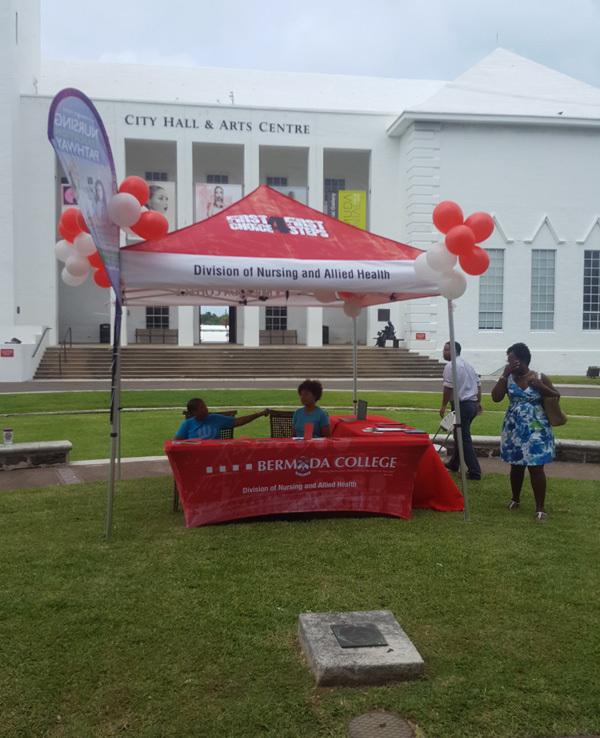 Bermuda College is taking its Fall Schedule of courses to the streets, literally, as they plan to have a pop-up tent right on Nellie’s Walk in the City of Hamilton, tomorrow [July 18] from 1 – 4 p.m.
A spokesperson said, “Bermuda College is encouraging persons to take advantage of the $300,000 grant from Government and sign up before the deadline of August 8th. Applications for funding are available online; and qualifying persons can register on the spot. Most classes begin in September.